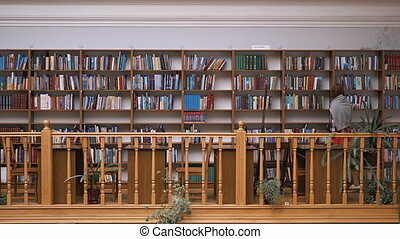 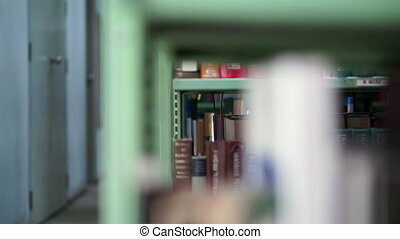 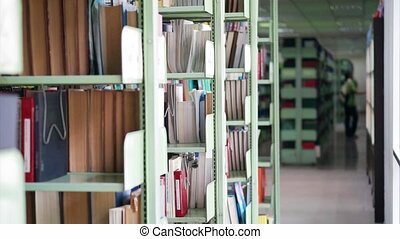 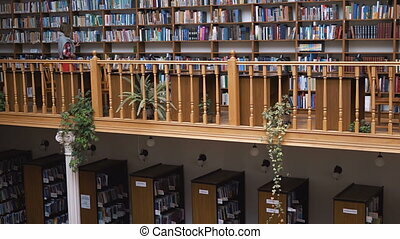 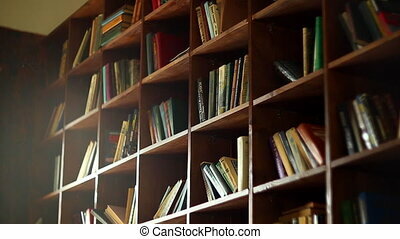 View of bookshelves in university library. 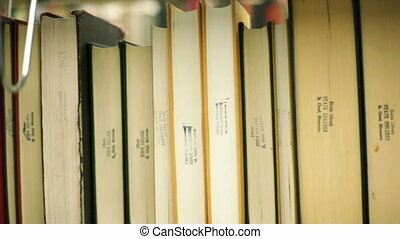 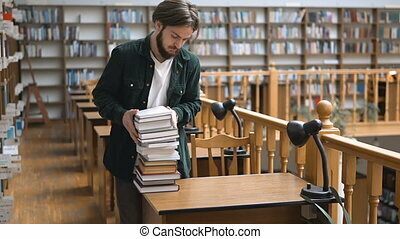 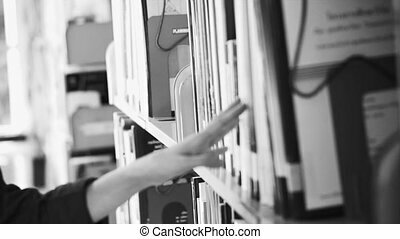 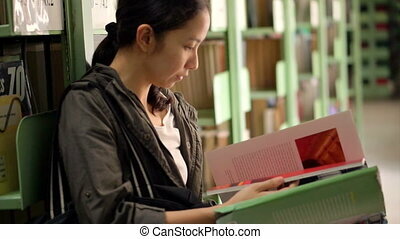 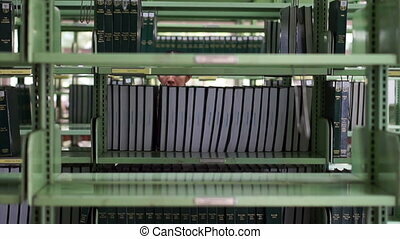 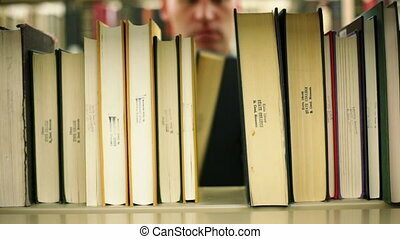 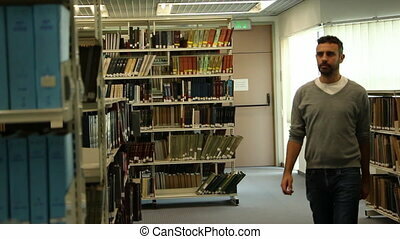 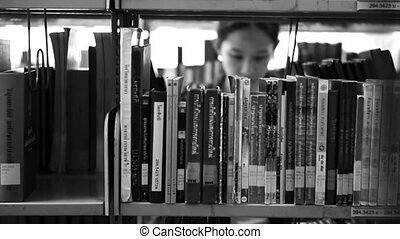 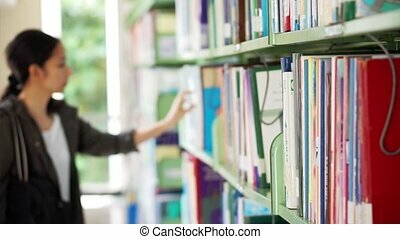 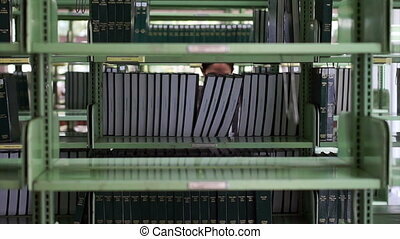 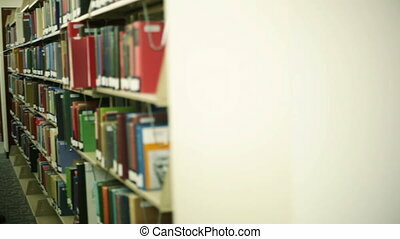 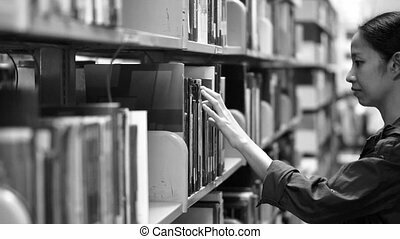 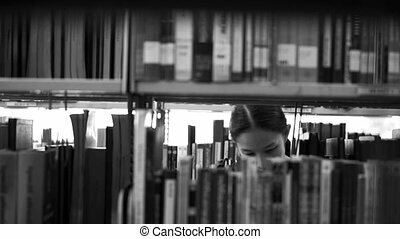 Concentrated male student with backpack choosing book in library. 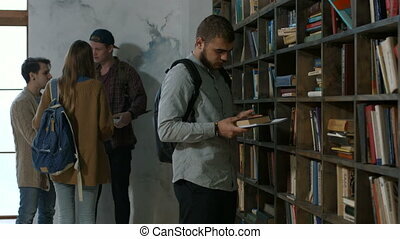 Handsome hipster looking for a book on bookshelves in university library with cheerful college students communicating on background. 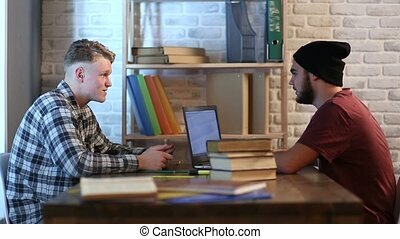 Two male students sitting at the table in library with laptop and books at the university and studying. 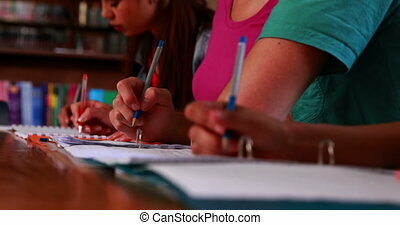 Cheerful teenagers chatting and giving high five while doing homework after lessons.